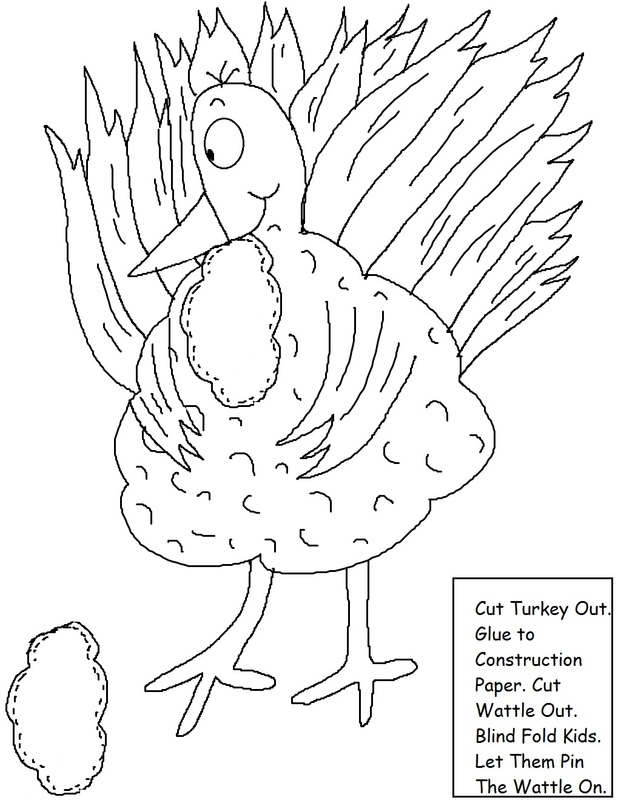 Print turkey out. 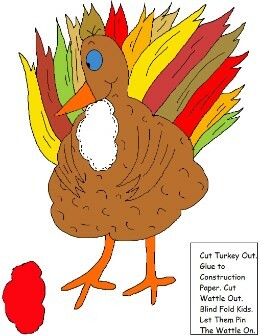 Laminate and cut wattle and turkey out. Add some double sided tape to the back of wattle. Blind fold child and let them try to pin the wattle on.